We offer yoga classes at your work place. Our Corporate Yoga classes can help make your workplace more productive by enabling your employees to Increase Productivity, Reduce Stress, Decrease Fatigue, Increase Energy. YOGA : It develops many wonderful qualities in children. In addition to its obvious benefits of exercising the physical body, it sharpens the child's ability to focus and give self-confidence and self-discipline. Yoga, asana, breathing exercises, arthritis, asthama, migraine, diabetes, blood pressure, any type of disease. - Yoga increases employee productivity. 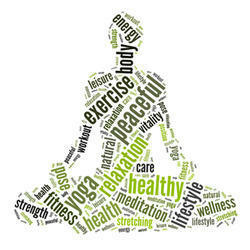 - Yoga decreases stress & Anxiety in workplace . - Yoga decreases absenteeisny & Staff turnover. - Improve employee health & wellbeing. Yoga is an ancient path to health and wellness. We prefer enquiries within 10 Km only.